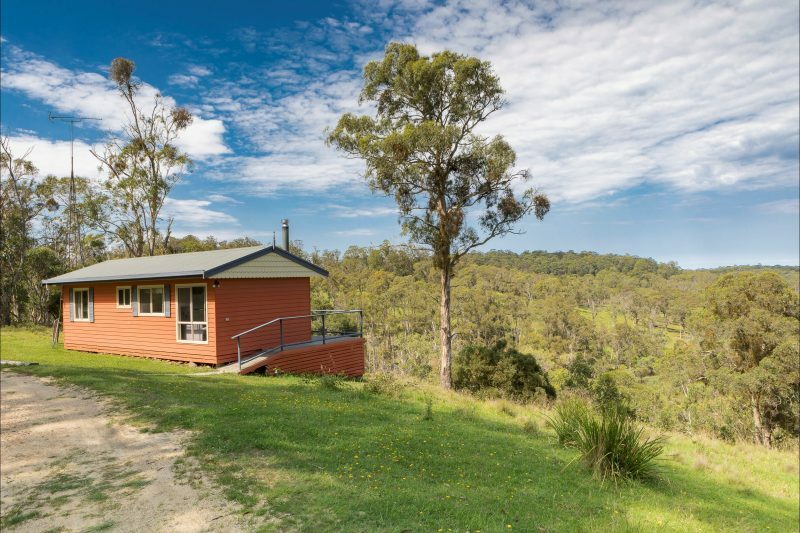 Moffat Falls Cottage is situated in picturesque high country of the New England Snowy’s and offer luxury accommodation for those who want to escape from it all and enjoy the tranquillity of the bush. 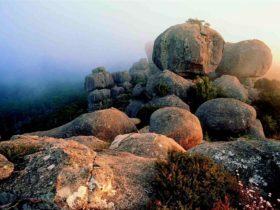 The Cottage offers guided fly fishing and are located next to the New England National Park and Cathedral Rocks National Park. The Cottage also directly overlooks spectacular waterfalls. Their Little Styx River Cabins can each sleep up to 12 visitors. 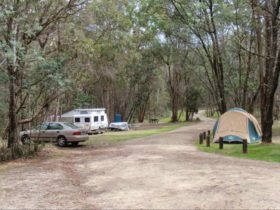 Hot showers and wood heating provide for a comfortable and relaxing camping style stay in some of Australia’s most picturesque high country. 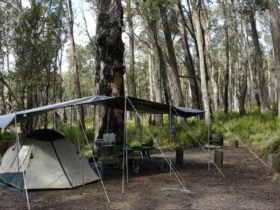 You do need to bring full camping gear including lighting, as there is no power. The showers are powered by Gas and the outside toilets are flushing toilets. Guests refer to the Cabins as camping with a roof over your head, a hot shower and a warm fire and comfy bed. If you like camping, you will love the cabins. The cabins are not suitable for non-campers! The Lodge is self contained and fully appointed with all facilities and linen included. 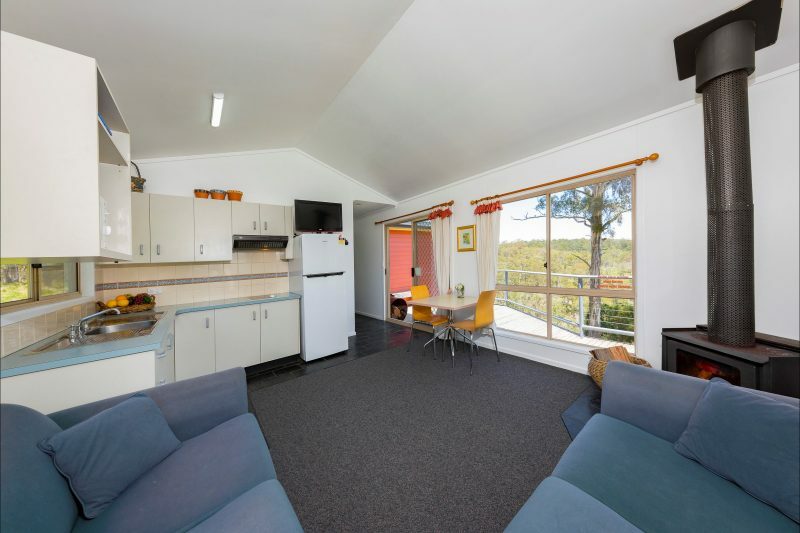 The Lodge is well equipped containing a formal lounge and dining area with wood fire, a living room with wood fire, a fully equipped kitchen containing fridge, microwave and gas hotplates and laundry facilities. (All you need to bring is your food). The Lodge has four bedrooms including three doubles and one twin room. The Lodge has en suites to two of the rooms and adjoining bathrooms to others. 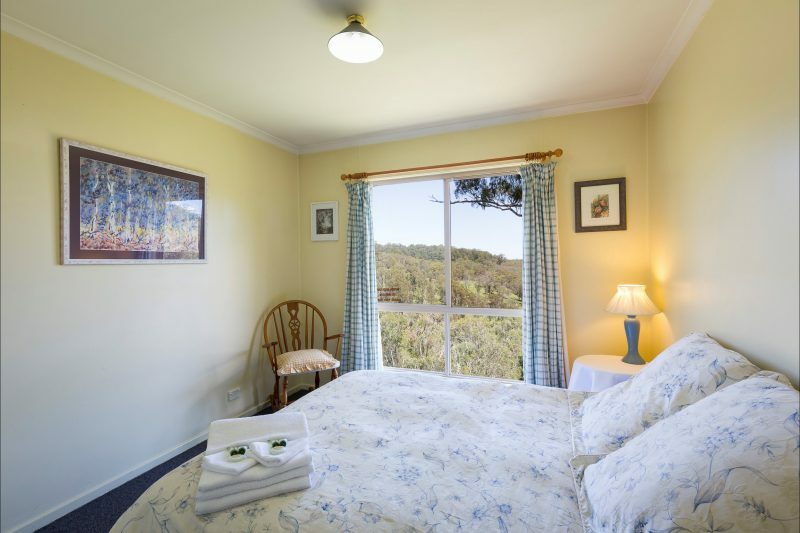 All have their own balcony overlooking the waterfalls except the twin room which overlooks the bush. Cottage has two bedrooms; double room overlooking mountains and waterfalls, second bedroom has a double bed with bunk on top plus a single bed, open plan living /kitchen area, veranda over looking waterfalls.The cottage is self contained and fully appointed with all facilities and linen included. The veranda provides a delightful setting for relaxing whilst overlooking the therapeutic waterfalls. The Cottage is heated by wood fire. Large secluded bush property with wonderful swimming under the Moffat Waterfalls.